The goal of Dr. Shen’s practice to provide care for patients with spinal pathology through a combination of both operative and nonoperative means. When surgery is required Dr. Shen combines both traditional open surgical techniques with cutting-edge minimal invasive techniques individualized to the patient’s specific spine pathology. Furthermore, Dr. Shen’s laboratory is improving the future of patient care by applying tissue engineering principles to solve clinically relevant problems. He is dedicated to advancing the future of spine surgery by training not only post-doctorate research fellows, but also to training the next generation of clinical spine surgeons as well. Surgery of the cervical, thoracic, and lumbosacral spine including anterior and posterior approaches. Management of degenerative conditions, spinal deformity, trauma, tumors, and infections of the spine. 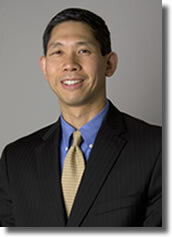 In addition to traditional open surgery, Dr. Shen also specializes in minimally invasive surgery, image guided spine surgery, and microsurgery. Research initiative can be divided into either basic science research or clinical research studies. The Shen Laboratory uses tissue engineering principles to develop techniques for the management of spinal fusions and treatment of intervertebral disc degeneration. Also actively using novel animal models developed in his laboratory for the treatment of isolated metastatic spinal tumors and osteoporosis. Clinical research focuses on the use of osteoinductive (bone producing) proteins for generating spinal fusions and on developing innovative techniques for complex spinal reconstructions, particularly after large tumor resections and high-energy sacral-pelvic trauma. Involved with applying clinical techniques for the novel uses for minimally invasive spine surgery, image-guided spine surgery, and robotic-assisted spine surgery. NovoSeven (F7SPIN-2180). Role: Principle Investigator. Title: Evaluating the safety of activated recombinant Factor VII in spinal surgery. Goal: This randomized, double-blinded, placebo-controlled, multicenter, dose-escalation study evaluated the safety of activated recombinant Factor VII in spinal surgery. Stryker Biotech (S01-01US). Role: Principle Investigator . Title: A prospective, randomized, controlled, multicenter, pivotal study of OP-1 putty in uninstrumented posterolateral fusions. Goal: To investigate efficacy and safety of OP-1 putty in uninstrumented posterolateral fusions. Synthes Spine. Role: Principle Investigator . Title: Demineralized bone matrix as an adjunct to spinal fusion. Goal: Investigates autograft versus DBX putty combined with autograft used as a posterolateral lumbar spinal fusion.